The master-planned community of Caliterra is focused on keeping the environment healthy, and we make efforts towards the regeneration of the land we develop. To help the future residents of Caliterra in Dripping Springs, we’re sharing 6 ways to reduce your utility bill and save the environment in the process. With devices that you use all at once, such as speakers, TVs and other entertainment technology, plug them all into one power strip. Even when they aren’t in use, they consume a lot of energy. 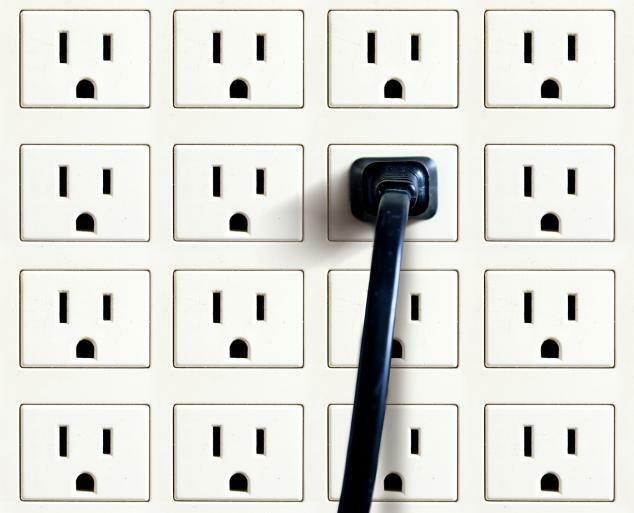 Putting them all on one power strip allows you to simply flip them all on or off and save energy. Many people probably do this already, but doing a quick sweep of your house to make sure everything is turned off can greatly save you energy. It’s also a good way to make sure no doors were left unlocked. Using timers can come in handy when you forget to do a nightly sweep, or if you accidently left a light on. Use them while on vacation and it can give the appearance that someone is still home, making your home safe from burglars. With the summer heat approaching quickly, the last thing you want is for all of the cold air to leave your house. However, air could be leaking from cracks in the doorway or windows. Make sure to seal them up to prevent further air leakage. Many clothes don’t require hot water to be properly cleaned. Use a cold water detergent to ensure your clothes are effectively cleaned. This will save you a lot of money on water heating costs. You’re most likely not going to be using your fireplace this summer, so you should close the damper of your fireplace. Nearly 14 percent of your home’s air can escape through your chimney. Caliterra in Dripping Springs, TX offers modern house plans with a focus on energy efficiency. Visit the Caliterra Living website today and find out more about our master-planned community.